GPS Devices within the golf game has been increasingly popular over the last few years. From highly rated GPS Watches to laser rangefinders, they are fairly common premium accessories for professional golfers. 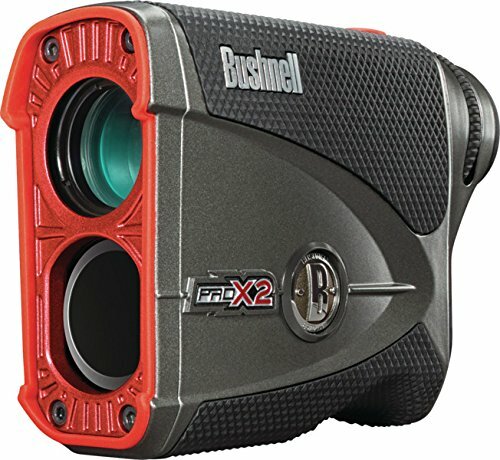 The best golf08 rangefinder is the Bushnell Pro X2 Rangefinder that includes a dual display and even slope switch technology. A Rangefinder is simply a device that measures the distance from your current position to a target such as a flag. This can be achieved by uses both laser and GPS technology with pros and cons of them both. 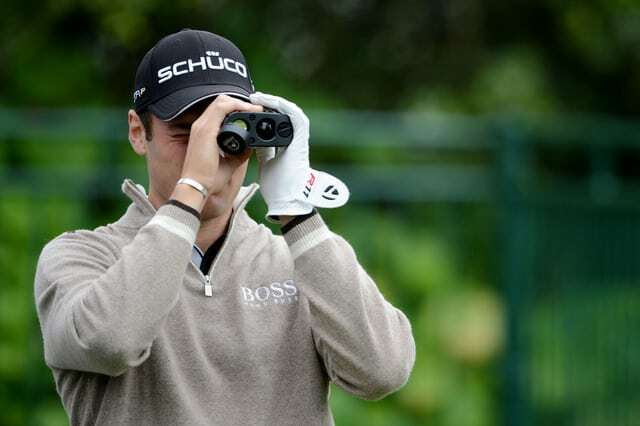 Golf rangefinders provide an accurate way of measuring distances on the golf course. Many high-end rangefinders include a slope variable that can increase your accuracy to your intended target. 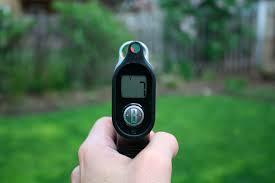 The laser rangefinders use a short laser pulse to target an object and measures the time it takes to bounce back. This will result in the distance being calculated and displayed for you to figure out which club to use. The GPS rangefinder uses longitude and latitudes coordinates to calculate the distance to fixed targets. Both laser and GPS rangefinders are very accurate and used by professional golfers worldwide. Below is a list of the best golf rangefinders for the money, mentioning both forms of technology. The Bushnell Pro X2 is the best golf rangefinder on the market today with extensive research and development gone into the functionality. Bushnell is leading the way with the rangefinder technology on the golf course with the Pro X2 the best rangefinder they produce. Leading technology such as dual display, slope compensation and slope switch provide a top performing rangefinder. On top of this, the rangefinder is fully waterproof for wet weather as well as being protected with heavy duty rubber and metal housing. The dual display technology allows you to switch between a black or red display for different lighting scenarios. With cheap rangefinders, you may find the visibility of the intended target very poor. The X2 Pro uses Pinseeker JOLT technology that indicates to the user via a “jolt” that the rangefinder has detected the golf flag. It’s often the case that a user is given the incorrect distance because the target is not set directly at the pin but another object. Rangefinders for hilly courses should include some sort of slope compensation technology. Hitting a 200 yard downhill is much easier and less ball distance required than hitting a golf ball uphill. The Bushnell Pro X2 has this exact functionality to carry out the calculation for the user that you can also reference for later use. The option to turn on the slope compensation can be done at the flick of a switch, which is quick and very user-friendly. The Bushnell Pro X2 is accurate the 1/2 yard with a 6x magnification where the laser will range over 450 yards to golf flags. The best golf rangefinder will not be cheap and the X2 Pro comes at a premium, but its the best laser rangefinder you can buy. The X2 Pro above is one of the top rangefinders but very expensive at the same time. 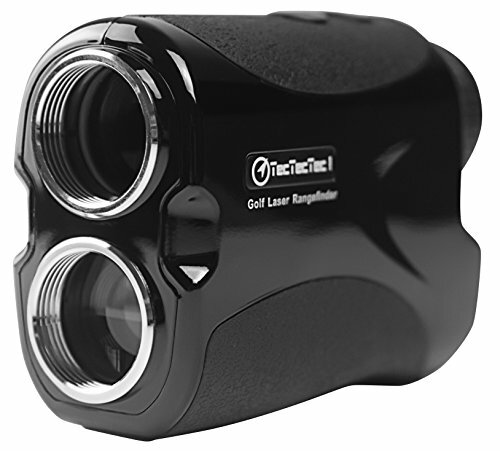 This is where the TecTecTec VPRO500 comes in with its budget golf rangefinder that uses its laser to measure targets from up to 540 yards using pinsensor technology. Like the X2 Pro, it features 6x magnification, rainproof protection, pinseeking technology and is tournament legal with no slope technology used within this device. It is a budget golf laser rangefinder that is very tempting and even comes with 2 years warranty for peace of mind. The TecTecTec VPRO500 is slightly heavier than the more expensive competitors but it is still fairly lightweight and compact (104 x 72 x 41 mm and weighing just 185g). It is very accurate with a measurement reading of +/- 1 yard through the multilayered lens. It will literally measure anything that you point it towards from sand traps, rough and of course to the flag. Overall, if it’s a cheap rangefinder you are after that actually performs to high standards, the TecTecTec VPRO500 is the best buy. It is fast and compact that provides a tournament legal accurate measurement to targets in order to improve your game. Overall, it is the best cheap rangefinder for the money and for that reason, it’s highly popular throughout the US and worldwide. Precision Pro is a mid-range golf rangefinder with Target Acquisition Technology in order to lock in on the intended target for precise yardage readings. The rangefinder is also water resistant and shockproof and is the most heavy duty in this article. In terms of performance of this laser rangefinder, you can expect a +/- 1 yard of accuracy with a 400-yard range with 6x magnification. This is great statistics for a budget rangefinder for golfing on a range of different courses. The yardage is measured to the 1/10 of a yard that is quite unique but really doesn’t make that much of a difference to your shot. You can also switch the metric from yards to meters if that is your preferred measuring metric. It is a relatively new golf laser rangefinder that has come onto the market and poses a great threat to the more expensive models. 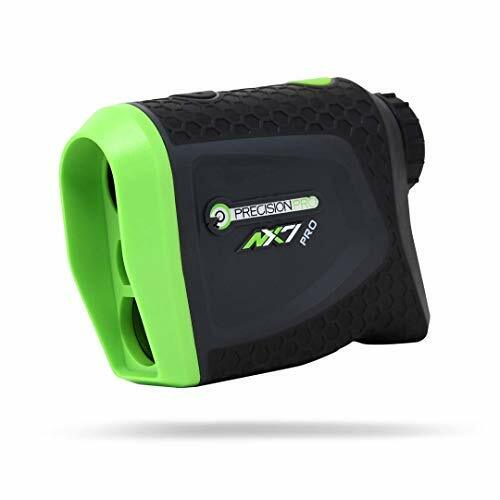 The Precision Pro Golf NX7 Laser Rangefinder offers great value for money. There is an upgraded version but only if you want the slope and non-slope functionality. 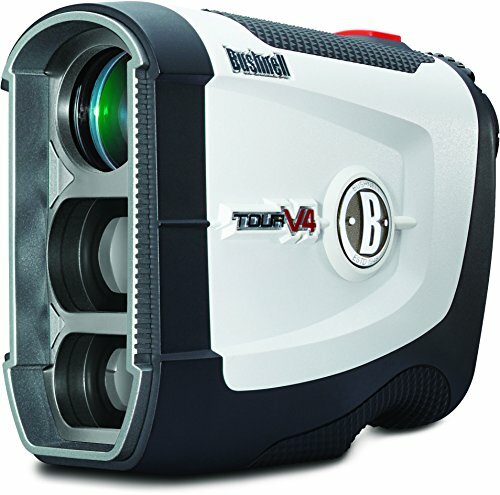 An alternative to the X2 Pro where you can save some money is the Tour V4 Jolt that is also produced by Bushnell. It is much smaller with a reduced size of approximately 30% with an improved pin seeker speed and slope compensation. It features the JOLT technology (as per the model name), accuracy to 1 yard, ranges to 400 plus yards to the flag, 5x magnification and a 2 years warranty. The unit itself uses a silicone protective cover with a hard housing to remained protected during rough usage or storage within the golf bag. The reduced price is due to the fact is does not calculate slope readings that are outside of the rules. However, that being said, it is the best rangefinder for the money and offers great value for those looking for a reliable and easy to use a laser rangefinder. Nikon is one of the leading brands in the high-end camera market and has produced a rangefinder for golfers wanting a premium brand. As you can imagine, Nikon has put endless hours into research and development in order to produce this budget rangefinder for golf. It is the smallest rangefinder produced by Nikon (3.6 x 1.5 x 2.9 inches and 4.5 ounces) and so small in fact, you can fit it into your pocket with ease. It uses the “First Target Priority” technology that ensures the closest objects within a group of objects is measured every time. This rangefinder can be used in cold and hot weather with excellent weatherproofing for the changing weather conditions. Point it at anything from small electric golf trolleys, trees, bunker and the flagstick for immediate measurements. 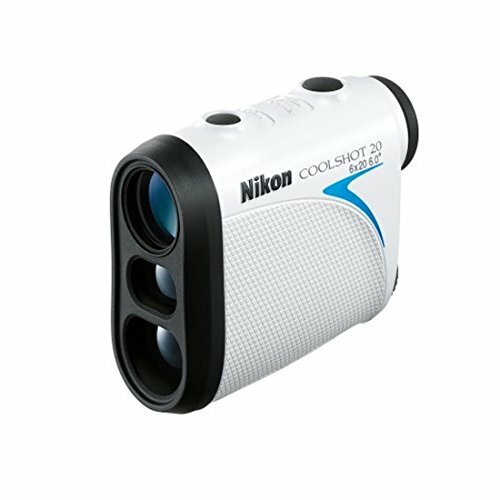 The Nikon Coolshot 20 Golf Rangefinder is a great all rounder and is very affordable and durable whilst maintaining the Nikon brand. It is a strong contender for the best budget rangefinder and comes with great warranty and customer support. A golf laser rangefinder is a type of rangefinder that uses a laser beam to determine the distance between the starting and ending points. This tool usually does this by sending the laser toward the object that is the final destination (in the case of golf, the hole). Then the rangefinder takes a measure of how long it took the laser to reflect of of the object and return. This process accurately calculates the distance from the observer to the object of interest. This whole process is usually done within a matter of seconds, so the golfer can quickly take a look and make his/her shot. First and foremost, it is important to choose an accurate rangefinder. If the tool does not give the golfer precise distances then, it is ultimately useless. This is not generally a problem, however, as most models are at least more accurate than the golfer. After all, golfers are humans and humans tend to make more errors than a machine. Unlike most of the products people use daily, a rangefinder does not have to be a specific brand in order to provide excellent results. The patent for this item is not limited to certain companies, so there is a wide range of options to choose from. It is important to try different brands because one the golfer has never heard of could potentially produce the best result. A good way to determine whether or not a specific brand can provide the best rangefinder for you is to give multiple brands and models a test drive. Reviews (whether video or written) are also a good way to gauge the general performance of the model in question. For some golfers, the price may be an influential deciding factor when searching for the best laser rangefinder. Because there are such a variety of models on the market, there is a model for every budget. If price matters, doing research to determine the basic features each golfer requires is an amazing first step. Narrowing it down to the basics will help weed out many of the models that come with a variety of extra features. While extra features are great, often times they are not necessary for functioning. A golfer can save money by knowing what is actually needed. Reviews are a great place to start when looking for the best budget golf rangefinder. 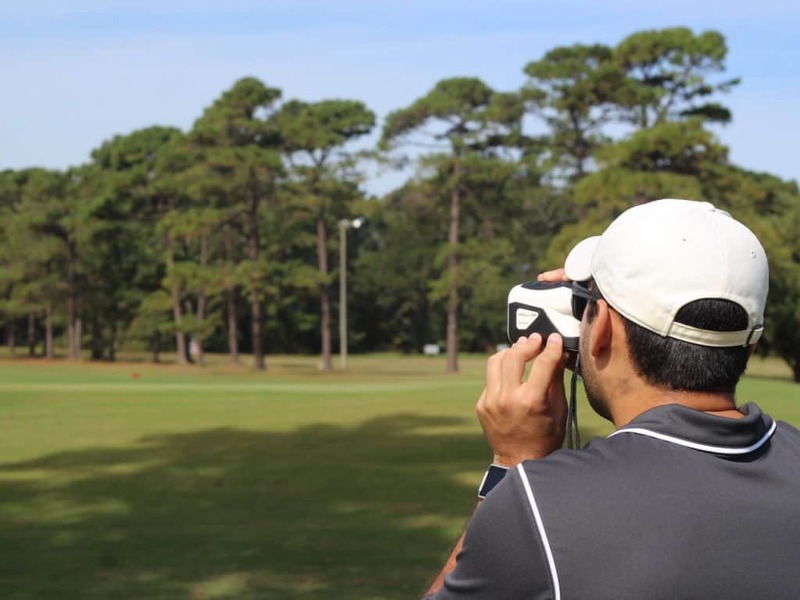 Whether or not price matters, it is still critical to take into account a golfer’s own personal preference when choosing a laser rangefinder so he/she is ultimately happy with his/her purchase. Specific price points for rangefinders usually range from $140-$399 with a midpoint of about $250. A $150 rangefinder is usually a good budget device for function while the more expensive ones have additional features. These features can include a longer warranty, slope calculation, or pin seeking technology. Another quality to look for is maximum distance and magnification options. Golf laser rangefinders come in magnifications from 4x to 8x. Personal preference and usage plans play a critical part in deciding which magnification options are best for each particular golfer. With this in mind, there are some valuable guidelines to be aware of. The first of these pointers is the more magnification a golf range-finder has, the harder it will be to hold steady. This doesn’t mean a golfer must sacrifice the magnification to use the tool, it is just a good thing to keep in mind. Also, the size of the target should be a key deciding factor in terms of magnification. If targets are going to be smaller and further away, it is critical to have more magnification. The maximum distance is also important considering the target. For example, if the targets will not be more than 400 yards away, then it is not necessary to have a rangefinder with a much higher maximum distance. As long as the target is considered, along with personal preference, choosing the best range-finder distance and magnification will be a breeze. Laser rangefinders come in two styles; either horizontal or vertical. The horizontal option is wide and flat. These can be held with two hands which can provide a more steady experience when ranging a target. This style is great for the long distance targets and high levels of magnification as it can be held steady with ease. This option is usually a bigger and bulkier design, however, so it loses some appeal if space matters. The vertical option is very portable that usually features a more sleek design. The vertical laser rangefinders are harder to hold steady, though, and usually have lower magnification to make up for that. For golf, the best laser rangefinders are usually vertical. This is because they need to be easy to carry around and the magnification provided on this models is sufficient for the golf course environment. No golfer wants to have to spend several extra minutes at a hole in order to calculate the distance before shooting. When determining the best golf laser rangefinder, the ease in which the device can be pulled out of the bag and used is important. Fortunately, most models give a read back within a few seconds. The easier the golf rangefinder is to use, the better it will be for the time constraints surrounding golf. It would be pointless to use something that will only greatly slow a game’s progress. The speed that a golfer can receive his/her calculation is a major deciding factor when choosing the best range-finder. All major models tend to have high speeds as the laser component operates at light speed. The differences are usually just in the calculation time. A laser rangefinder should be able to be fired within a few seconds. Then the reading should be almost instant. Due to the high speeds that cover the market, if speed seems like an issue it can usually be attributed to ease of use. Since we have entered an incredible age of portable technology, durability is a critical factor when it comes to handheld devices. Think of all the cracked beyond repair smartphones that have met their fate when they hit the ground from falling out of a hand or pocket. On the golf course, the rangefinder could even fall out of the cart on the path before the golfer even reaches the holes. Breaking the rangefinder at this moment could change a golfer’s whole game for the worst. Considering the materials and construction used to create the chosen model will help avoid this situation. After all, it needs to be strong to withstand the outdoors. It is impossible to always be prepared for an unexpected turn of events. When a hole is far away, it can be difficult to lock on to the correct target. Human hands are not always the most steady, especially in the heat of an intense game of golf. Also, there are often obstacles around the hole that the laser rangefinder can accidentally lock onto if the aiming is not precise. Each brand has its own special name for this technology. The way it works is it is designed to find and zero in on the flag stick. Some models include a vibration for added confidence that this has been completed. This technology helps to make ranging even quicker and accurate. It is great for people who lack confidence in their distance readings. This technology can also speed up the game because it locks onto the pin every time. Golf courses are obviously not completely flat. Where would the challenge be if this was so? Slope calculation is a feature that considers the incline or decline and how it will affect the distance to the target. While this mode is great, it is illegal to use in tournaments as it provides advice by giving this additional information. A golf laser range-finder that includes slope calculation is usually also $50 to $100 more than a model without. Lastly, really advanced versions of this technology can also provide advice about the club to use, the weather’s effect, the altitude, and any other factor that could affect a shot. Some models have special faceplates that activate and deactivate the slope calculation technology, this way if a tournament golfer wants a model that has this technology, it can be proven to the USGA that the feature is not active during the tournament. As with any tool, some models come basic while other models are like the BMW of laser rangefinders. While not necessary, extra features that fit an individual golfer’s personal preferences can really help a certain rangefinder stand out to them. One feature to consider is whether or not the rangefinder can be used with glasses. A large portion of the population needs some sort of corrective lenses. Many uses come with an adjustable diopter to focus the machine to the individual’s eyes. If this is the case, getting one with a high level of adjustment (if the eyes require a heavy duty prescription) is critical so that the user can see while ranging. If the user must wear his/her glasses, then it is important to look for a model with a foldable eyepiece approved for glasses. Another lovely feature is models that vibrate when a golfer using pin seeking technology is locked on to the target. This way, he/she knows exactly when the device locks on, leaving less room for human error. Next, a model that includes a carrying case can increase the ease in which the device can be transported. A case can also protect the device from damage when thrown into another bag. A case can also eliminate the need for an additional bag as the rangefinder can just be carried in its own case. Lastly, waterproofing is an excellent feature. With this protection, a rangefinder will be much harder to ruin due to common accidents. It is unknown whether a rangefinder will be dropped in water or have something spill on it. Also, it is impossible to know when it will rain out of nowhere. Without waterproofing, the device is prone to the mercy of luck and the elements. The extra features that can be added are vast, so it is great to just read up on different models as well as test them so each golfer can find the best golf rangefinder to play the best game possible. Obviously, there aren’t any plugins on the fields of green lawn that make up a golf course. Therefore, it is important to consider the battery life of the chosen laser rangefinder. Consider the length of time the battery lasts. Reviews also help to provide information for how long batteries last. Also, looking at the type of battery the range-finder takes can help determine this as well. Lastly, considering personal needs will make this decision. If a golfer is going to be playing in long tournaments, then a model that has long battery life would be the best rangefinder option. If a golfer is just going to be playing short games for fun or using the rangefinder for practice then shorter battery life will suffice. Most models have batteries that will at least last most, if not all, of a golfer’s season, though. Many models come with manufacturer’s warranties. This is something to consider especially when buying a costly model. Most people do not enjoy paying large amounts for devices and then having to replace them quickly. While a warranty may not be a huge deciding factor, knowing what is covered is still worthwhile. Any outdoor sport comes with the potential for accidents for any devices and/or equipment involved. Warranty information is usually provided on the packaging as well as in reviews for a prospective model. 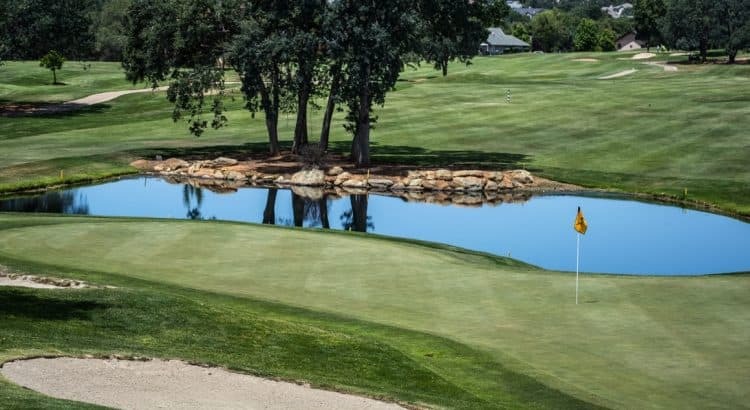 Looking at the risks involved on the golf course of choice and comparing them to the warranty can be useful in determining what model a golfer wants to purchase. If a golfer plays in tournaments, the USGA allows the use of golf laser rangefinders as long as they only measure distance. In 2006, the rule was changed to where these devices can be used under the local course’s discretion. This means that the usage would be dictated by the rules in place at the local golf course. The fact that the models that only measure distance are permitted are a bit of a bummer to those golfers that enjoy slope calculation technology. While this technology is great, the USGA has no intention of allowing it to be used during tournaments. A statement released by the USGA confirms this. The statement is as follows “The USGA and The R&A have no intention to permit the use of electronic devices to go beyond the current rules and interpretations. This means that distance-measuring devices and applications will be limited to distance information only. If a device that is being used for distance-measuring purposes has any additional features, all such features must conform to the Rules of Golf.” While there is still a debate over whether or not the usage of these tools is fair during a tournament, the USGA takes many measures to ensure fairness and rule compliance. They review the range-finders regularly and, as aforementioned, do not plan to take it any further at this time. Golf laser rangefinders are an amazing tool that helps a golfer to determine distances between themselves and their flags. As with any device, however, this tool is not perfect. A downside to this technology is that weather such as rain can have an effect on the laser. This is because it needs a clear travel path to operate at full potential. Rain can slow down the laser since it has to travel through the water. This can also create a reading that is not precise. While this seems like a major setback, it really is not as bad as it sounds. Even with the best golf laser range-finders or without a range-finder at all, a golfer’s biggest adversary will be the weather. This is because a golfer can not shoot as well in the rain or fog with or without a range-finder. So even if the range-finder is not functioning at top precision for this reason, it can still provide an advantage to aid in playing the best game possible. A rangefinder can also slow down the game. While this a true risk, often times, if the rangefinder is used properly it will actually speed up the game as the golfer will be more confident in his/her strokes. The golfer will also utilize a smaller number of strokes more effectively as he/she will know the distance that needs to be covered. The market for golf laser rangefinders is tremendous. This can make it overwhelming for someone who is either a first-time buyer or someone who wants to upgrade their current rangefinder. It is important to know what is necessary and what things are extras. Really, as long as the rangefinder accurately measures distance, then it will work just fine for the game of golf. Beyond this, knowing any extra factors to consider such as pin seeking technology, waterproofing, cases, and slope calculation is important when making any purchasing decisions. Keeping in mind the golfer’s own personal budget as well as preference is also critical. The legality involved with tournaments is also a major factor in this decision making process. It would not be beneficial for the tournament golfer to unknowingly buy and illegal product. Research and the testing of several models is really every golfer’s best bet when it comes to choosing any specific model. There is a multitude of reviews and data that will help to answer any questions a golfer may have. Utilizing all of the resources available will help to ensure the golfer receives the best golf rangefinder for his/her self whether it be the best budget golf rangefinder or the most costly one out. These tools really do provide an excellent edge on the golf course. This is because a golfer no longer has to try and calculate the distance in his/her head. If the rangefinder has slope calculation, the golfer might not even have to consider slope for themselves. 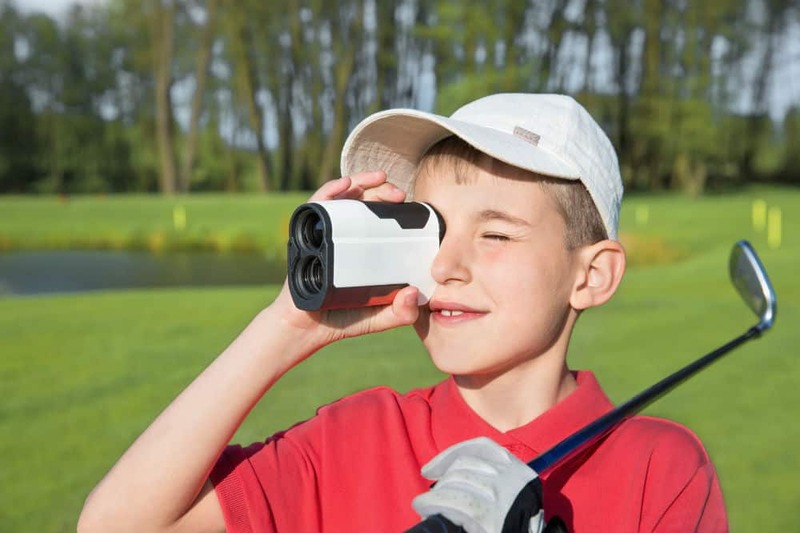 For all these reasons a laser rangefinder can quickly become a golfer’s very best friend.